With an adjustable shaft and loop handle, the perfectly balanced FSA 56 can be adapted to best suit your height and the task at hand. This combined with impressive mowing performance means even difficult areas in the garden can be tackled with ease. 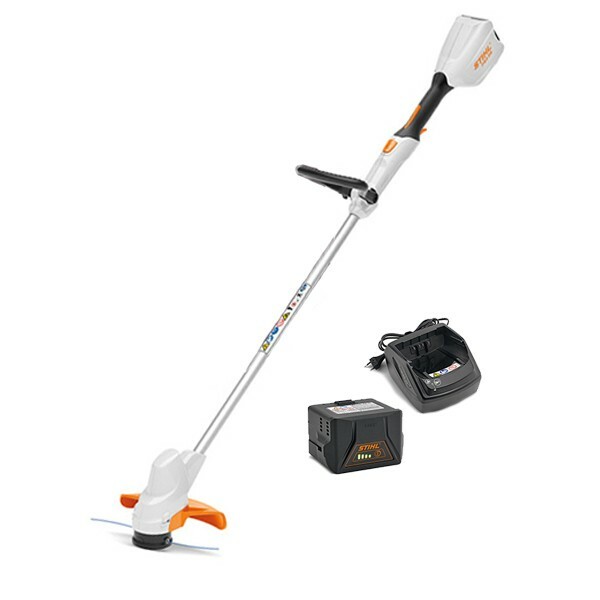 The FSA 56 cordless grass trimmer allows you to work with power and precision. Meanwhile, its low weight makes it easy to handle. And thanks to the FSA 56's low noise, the neighbours will be happy too! Up to 20 mins run time allowing up to 500 meters of lawn to be strimmed. Adjustable shaft at the touch of a button to cater for differing heights of the user. Lightweight at 3.3kgs including battery. Quiet technology for use in noise sensitive areas such as around the garden. Manuafacturers RRP £199.00 including vat.